A. Kwanzaa is a unique American Holiday that pays tribute to the rich cultural roots of Americans of African ancestry. Q. What is the meaning of the word Kwanzaa? A. Kwanzaa means “the first” or “the first fruits of the harvest,” in East African language Kiswahili. Q. When is Kwanzaa observed? 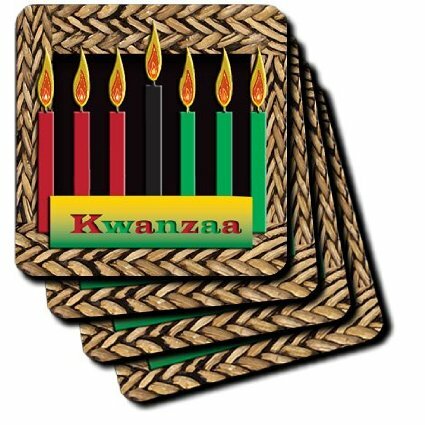 A. Kwanzaa is observed from December 26 through January 1st. Q. What is the origin of Kwanzaa? A. Kwanzaa was founded in 1966 by Dr. Manulana Karenga, a Black Studies professor who describes himself as a cultural nationalist. 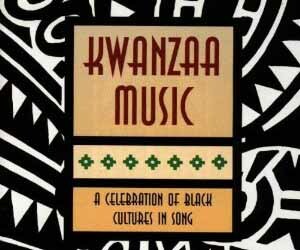 Kwanzaa originated as a cultural idea and an expression of the nationalist US organization which Dr. Kanrenga headed. Q. Is Kwanzaa a religious holiday? A. Kwanzaa is unique in that is neither a religious, political, nor heroic but rather a cultural one. Q. What is Kwanzaa based on? A. Kwanzaa is based on seven fundamentals principles which are referred to as the Nguzo Saba. Q. What are those principles? A. Unity, Umoja, Self-determination, Kujichagulia; Collective work and responsibility, Ujima; Cooperative economics, Ujamaa; Purpose, Nia; Creativity, Kuumba; and faith, Imani. Q. Is Kwanzaa a Christmas substitute? A. No, though Dr. Kanrenga recognized the undue hardship that the over commercialization of Christmas has for Black people and others who are at the lowest rung of the social strata. Therefore, those who find Kwanzaa to be more meaningful to them now have an option and can still be part of the holiday season. Q. How important is gift giving during Kwanzaa? A. Gifts may be exchanged during Kwanzaa through it is suggested that they be creative, handmade of function like a book. Q. How is Kwanzaa celebrated? A. Kwanzaa can be celebrated in number of ways. At a bare minimum a table should be prepared with the following items: A place mat (Mkeka) usually made of straw; a candle holder for seven candles (Kinara; seven candles (Mishumaa saba); a variety of fruit (mazao) ears of corn (Vibunzi) representation the number of children in the home; gifts if any (Zawandi); and a unity of communical cup (Kikombe cha umoja) for pouring and sharing libation. Each day of Kwanzaa a candle should be lit beginning with the black candle which is placed in the center of the candle holder. Candles are then lit alternately from left to right. Three green candles should be placed on the left and three red candles should be placed on the right. Each day a principle has for the person reciting it should be expounded upon. Q. Why is Kiswahili used? A. Kiswahili was chosen because it is a non-tribal African language that encompasses a large portion of the African continent. An added benefit is that Swahili pronunciation is extremely easy. Vowels are pronounced like those in Spanish and consonants with few exceptions like those of English. The bowels are as follows; A=ah as in father; E=a as in day; I-ee as in free; O=oo as in too. The accent is always on the next to the last syllable.